Showing 5 articles from March 17, 2015. 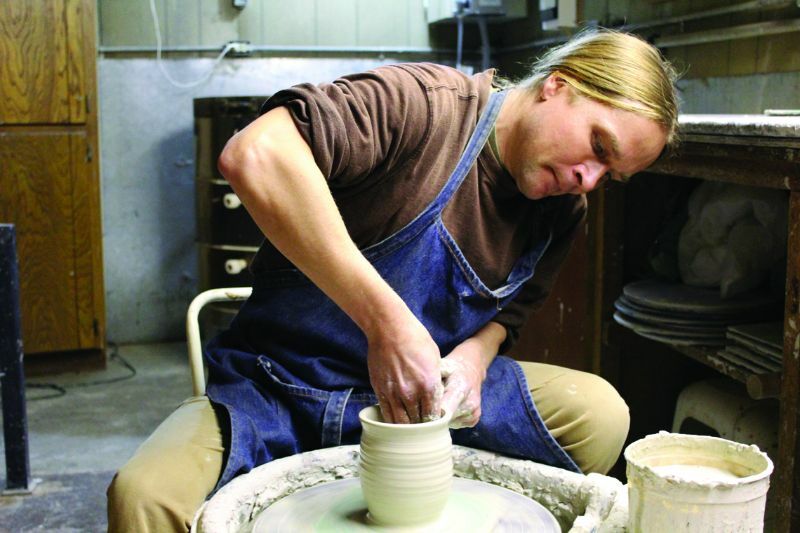 Potter Aaron Van Ornum works his wheel and turns a fist of clay into the base of a new coffee cup. For many it is not easy to find a new career after one has been taken. But for local potter Aaron Van Ornum he has created Shoalwater Pottery and his passion for creating ceramics is starting to get noticed more and more. With the skies opening up to Spring-like weather it is possible that some members of the Raymond City Council may have come down with a small case of Spring Fever. Weight Watchers meetings are every Thursday at the Pacific County Annex, 1216 W. Robert Bush Drive in South Bend. Weigh-in is from 11:30 a.m. to 12 p.m., and the meeting follows until 12:30 p.m. To sign up visitwellness.weightwatchers.comCompany ID:49518, Company Passcode:WW49518, Help Hotline: 866-204-2885. For more information, contact Denise Rowlett at 360-581-5249 or email drowlett77@yahoo.com"drowlett77@yahoo.com. The Pacific County Parks Department is soliciting proposals from qualified applicants interested in contracting as park host for park operations at Bush Pioneer Park, located in Bay Center, for the period beginning April 1, 2015 through December 31, 2015. Manager Reizner had one of his old time crowds at the New Lyric last night, attracted by the splendid Indian War pictures, in which some of the famous conflicts between the savages and the United States troops. On the Western plains, have been re-enacted for the benefit of the present generation.